Are you auditioning for voice-over jobs but never getting calls back? 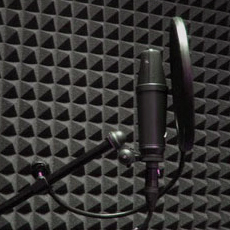 Try our voice method which will allow you to walk into the sound booth with a confident voice. Voice over artists depend on good speech and voice for their professional success. They have the unique talent of bringing copy to life with clear, precise articulation and by using a range of vocal emotions. Before recording your demo, make certain that you have eliminated your regional and foreign accent patterns, sharpened your articulation on sounds such as /s/ which can sound noisy when magnified with a microphone. In addition, it is important to make sure that you are using good breath support, pausing and phrasing appropriately so that you can present the copy with your best voice. A voice that is strong and clear, with good vocal range. Whether you are selling products, advertising movies, narrating a documentary or producing recorded books, you want the listeners to focus on the content of your message and not be distracted by your speech. Voice and accent modification sessions with a licensed Speech Pathologist will give you the skills and tools you need for improved voice and speech production. When you step into the sound booth, you want to do so with confidence and assurance that your speech and voice will get the job done.